MumMe News | Stay current on our latest happenings! Stay current on our latest happenings! 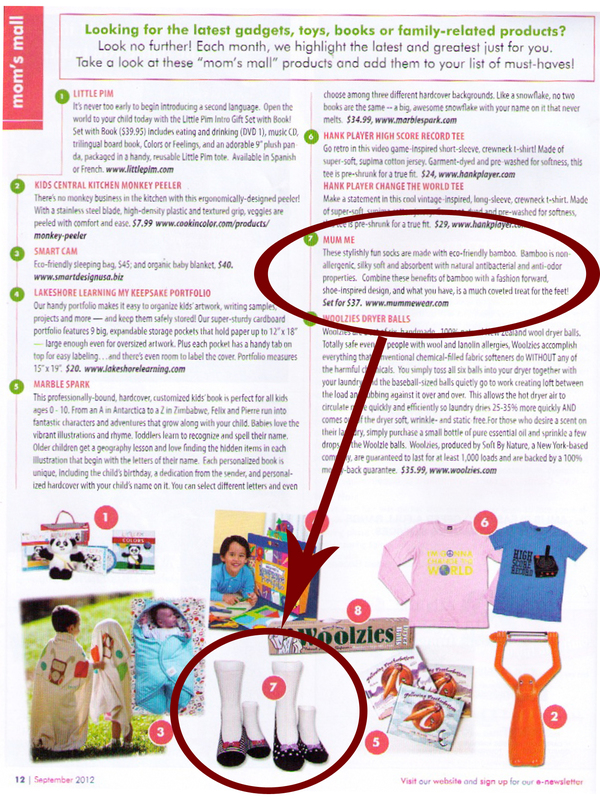 Our Karina Ballet Flats, Mum & Me Set are featured in the Sept issue of South Jersey Moms. Check it out! Congratulations to Tina Temoche, winner of a $30 Gift Certificate to shop at MumMe!! Thank-you for sending so many of your friends over! 🙂 We hope you will enjoy using your gift certificate to make your feet (or your little one’s feet) smile! Please email us at info@mummewear.com within the next 48 hours to claim your prize. MumMe socks for your SPECIAL EVENT!